Hi, I'm Ted Banta. 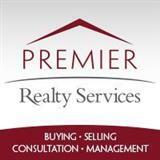 Thank You for Visiting Premier Realty Services! As the Broker / Owner of Premier Realty Services, Inc, I offer the utmost courtesy, commitment, knowledge, experience, and professionalism to my clients. By forming a close relationship with buyers and sellers, it creates a bond of trust and makes me highly motivated to meet your goals. I am a licensed full-time Real Estate Broker in the Catskill Region of Upstate, New York. My years of experience working for clients provide me a vast range of knowledge in these Real Estate markets. I am also a successful Real Estate Investor and Property Manager. These personal experiences have been invaluable to help better aid and guide my clients. I graduated Fordham University in 1992 and earned a BA degree. Thereafter, I attended Fordham University's Graduate School. Civically, I serve my community in various roles. Most importantly, I enjoy a wonderful family with my wife and five beautiful children. While these external benchmarks are all important, I measure my success by the quality of the relationships with my clients, family, & friends. When you are an informed buyer or seller, you'll make the best decisions for the most important purchase or sale in your lifetime. That's why my goal is to keep you informed on trends in the marketplace using the latest statistics in your local area. With property values continuing to stabilize, real estate is a sound investment for now and for the future. As a local area specialist with knowledge of the communities, my objective is to work diligently to assist you in meeting your real estate goals and represent you in your real estate interests. If you are considering buying or selling a home or would just like to have additional information about real estate in your area, please don't hesitate to call or e-mail me - (518) 466-1219 or @ tedbanta3@yahoo.com.